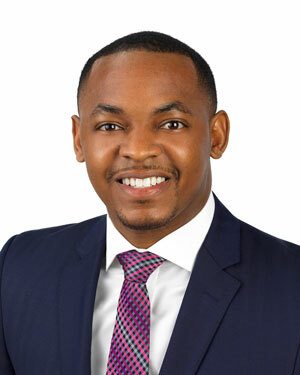 Ontario, Calif. (January 28, 2019) - Commercial real estate broker, Julius Lewis, has joined Kidder Mathews' Inland Empire office as an associate vice president, where he will focus on the sale and leasing of industrial properties throughout the Inland Empire. Before joining Kidder Mathews, Lewis spent three years with CBRE. A Long Beach, California native, Lewis is a veteran of the United States Navy and a graduate of San Diego State University's Fowler College of Business. Kidder Mathews is the largest independently owned commercial real estate firm on the West Coast, with over 750 real estate professionals and staff in 21 offices in Washington, Oregon, California, Nevada, and Arizona. Kidder Mathews offers a complete range of brokerage, appraisal, property management, consulting, project & construction management, and debt & equity finance services for all property types. The firm performs $7 billion in transactions, manages over 50 million square feet of space, and conducts 1,500 appraisals annually. For more information, visit kiddermathews.com.